For the first time in Spain’s democratic history, the government will take direct control over one of the country’s autonomous regions, after lawmakers in Catalonia ended weeks of agonized fence-sitting on Friday and voted to secede. 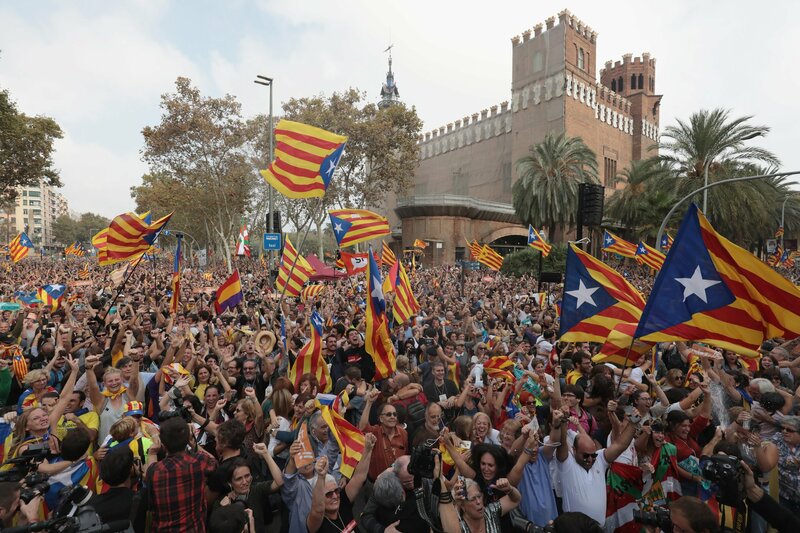 The dueling declarations — by the national parliament in Madrid and the Catalan regional parliament in Barcelona — escalated a years-old independence drive in the prosperous northeast region to its fiercest level yet. Fueled by a distinct language and culture and economic grievances, aspirations for a separate state have percolated for generations before boiling over this month to confront Spain with perhaps its worst constitutional crisis since it embraced democracy in 1978. The events Friday, coming in the chaotic aftermath of an Oct. 1 independence referendum in Catalonia, were greeted variously with anger, concern and elation on both sides, with the prospect of even more volatile confrontations in days ahead as the Spanish government decides how specifically to put the steps in place. Mr. Rajoy’s government could start stripping Catalonia of its administrative autonomy as early as Friday night. In parallel, Spain’s attorney general could seek to detain Catalan leaders on grounds of rebellion. Such moves were likely to turn the boisterousseparatist street celebrations that greeted the independence declaration on Friday into mass protests, with one Catalan labor union already calling on workers to stage a general strike from Monday. 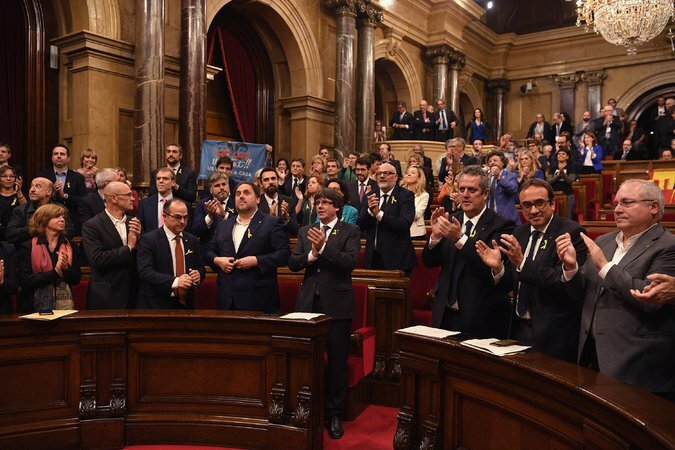 During the debate that preceded their vote, Catalan lawmakers traded accusations and in turn described the occasion as “historic” and “happy,” or else “tragic” and a violation of Spain’s Constitution, perhaps the only thing on which both sides agreed. Within an hour of the Catalan vote, the Spanish Senate in Madrid voted 214 to 47 to invoke Article 155 of Spain’s Constitution, granting Prime Minister Mariano Rajoy extraordinary powers to take direct administrative control over the region and remove secessionist politicians, including the Catalan leader, Carles Puigdemont, who may now be subject to charges of rebellion. Watch Bill Murray Sing an Incredible Version Of “Take Me Out To The Ball Game” at the World Series "I want you to spray it, not say it!" Lil Pump Plays “Lean Pong” Drugs are still a go in 2018!